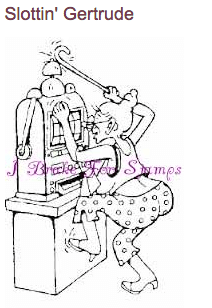 I Brake for a Jackpot !! 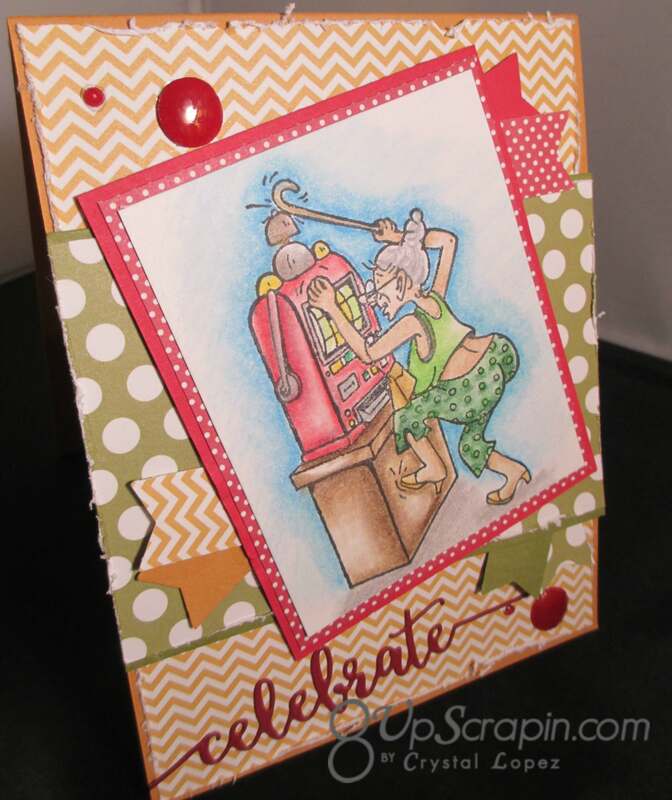 You are here: Home / Scrappy / I Brake for a Jackpot !! It’s Crystal here and I am back with an image I colored with colored pencils and baby oil. 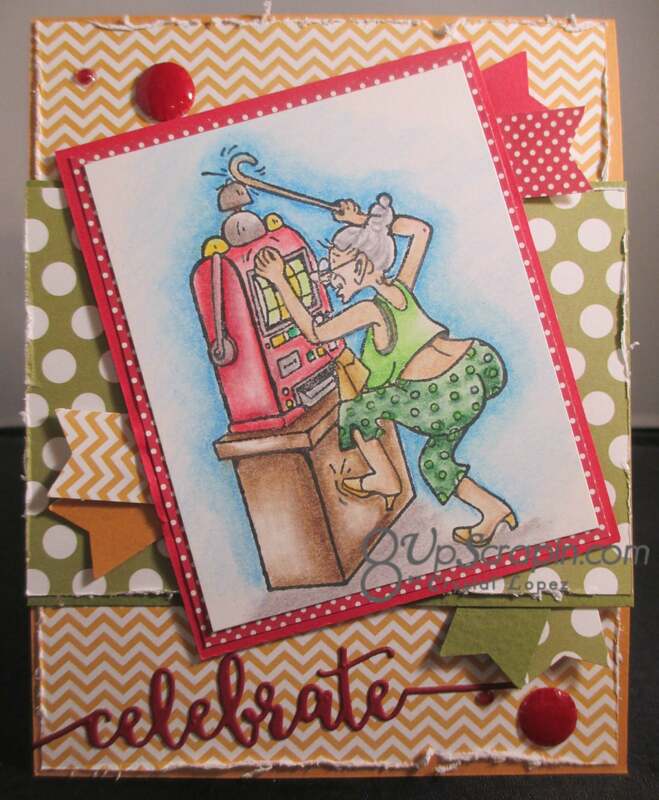 The image I am using today for my card is Slottin’ Gertrude from I Brake for stamps online store.I added a die cut sentiment Celebrate and left the inside blank so I can turn this card into a birthday card or anything else I may need. 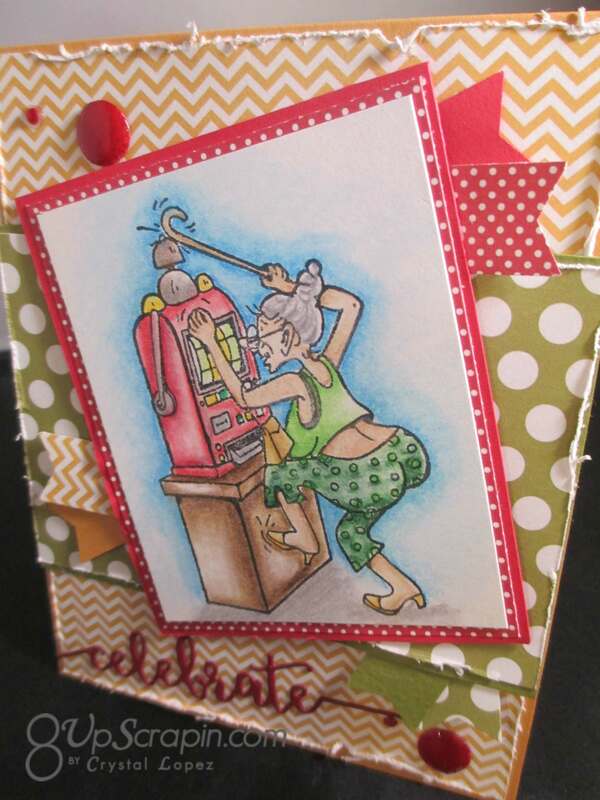 I have learned that it’s good to keep some cards on hand that can be made into any occasion . 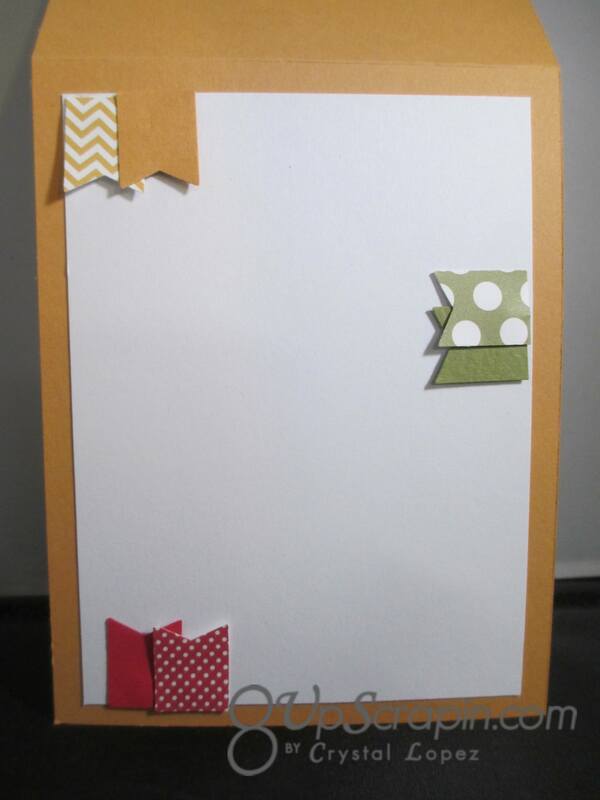 This was another image that I colored on my road trip two weeks ago , I have another long road trip this weekend ( one of many scheduled this Summer ) so come back next week to see what I color made into cards , to get a sneak peek of my coloring follow me on Instagram 8upscrapin I post there as I color them.